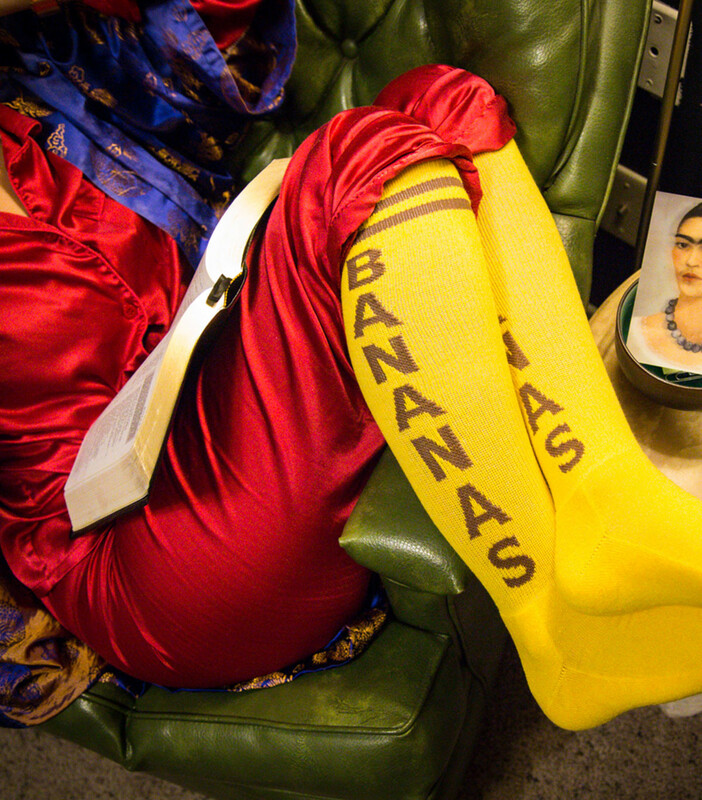 Whether you choose to hollah back or not, our Bananas Socks are the ish. Wear them to the gym or for a night on the town, either way folks will go ape for your totally tasty socks. These sporty athletic socks come in a golden yellow with brown stripes at the cuff. 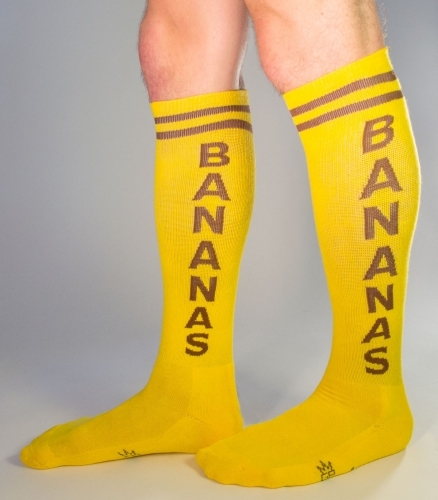 The word “BANANAS” is printed in matching brown lettering down the calf of the sock. 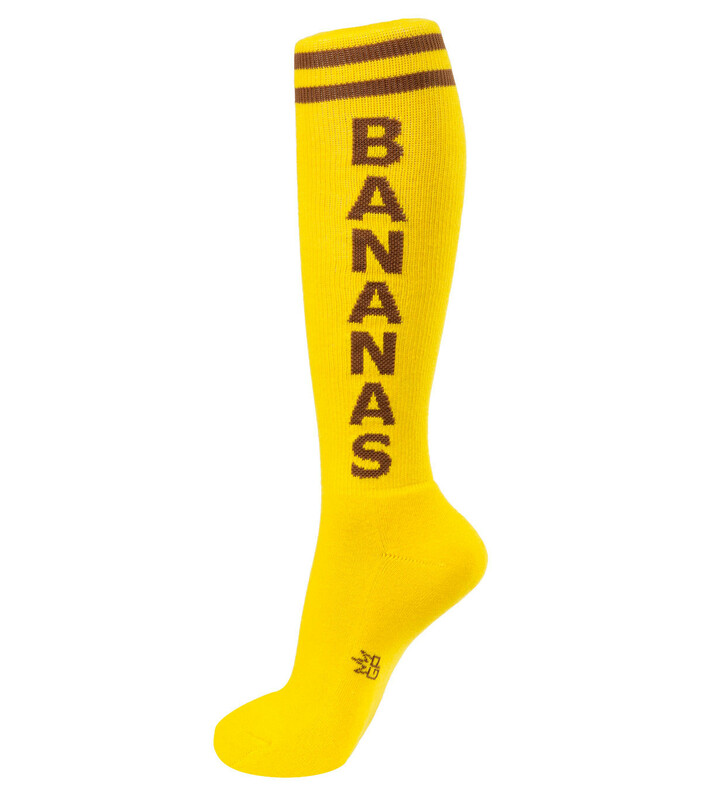 Bananas Socks fit women’s shoe sizes 7 - 11 and men’s shoe sizes 7 - 13. They’re made of a 75% cotton, 20% nylon, 5% spandex blend.